Collections of short stories can be tricky to appreciate properly. Even those that have a central “theme” can benefit from a piecemeal approach to preserve and savor the individual identity and texture of each tale. 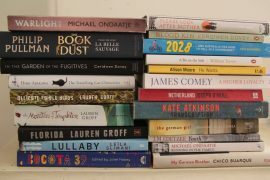 With some authors, I ration myself to story a day. Easier said than done with The UnAmericans by Molly Antopol. Antopol has created a deeply engaging array of characters each slightly out of place, or time, with the world around them. They are men and women forced to face gruelling events: a young Israeli soldier injured in a domestic accident after safely completing his national service; a middle-aged man throwing aside a lifetime’s caution to again find happiness; an ambitious journalist whose world is shattered as the economy crashes. These characters are shaped by the violence and coercive power of history. Like Mira in the powerful Retrospective, who must re-assess her abandoned marriage when her grandmother’s secret is revealed. Or Alexi in the challenging The Unknown Soldier, once an up and coming film star now trying to rebuild his relationship with his son after being jailed for failing to comply with the US House Un-American Activities Committee. Antopol’s stories are skillfully multi-layered. The moral dilemmas are complex and challenging; she is not handing out easy answers. Her language is so sparse and self-assured it’s hard to believe that his is her first book. But best of all, these are wonderful stories: imaginative and enticing. The UnAmericans is a great read and an extraordinary debut. 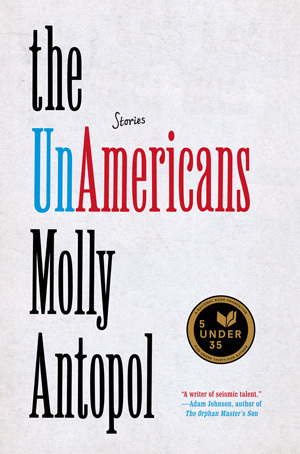 The UnAmericans by Molly Antopol is published in hardback by Norton and HarperCollins/ Fourth Estate. She is a recipient of the American National Book Foundation’s 5 Under 35 award. Tags: Fourth EstateHarperCollinsMolly AntopolNortonThe Unamericans.